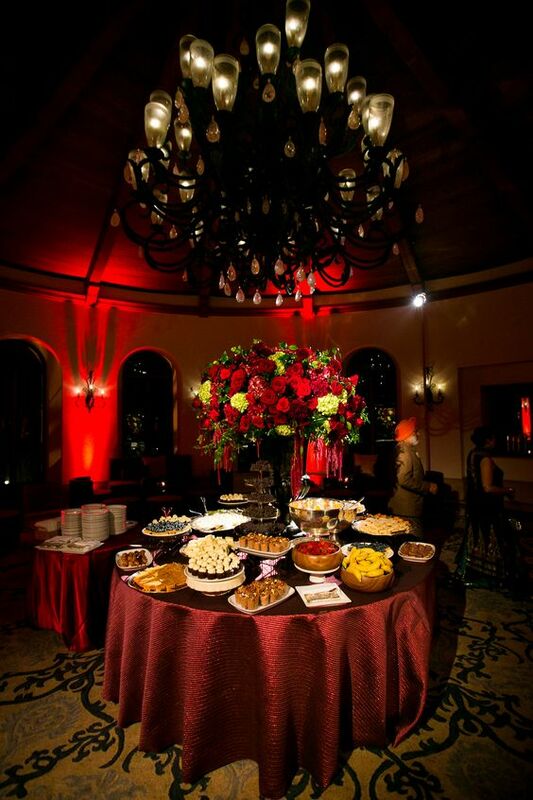 For our grand finale reception, we decided to design the room around the Art Deco period. 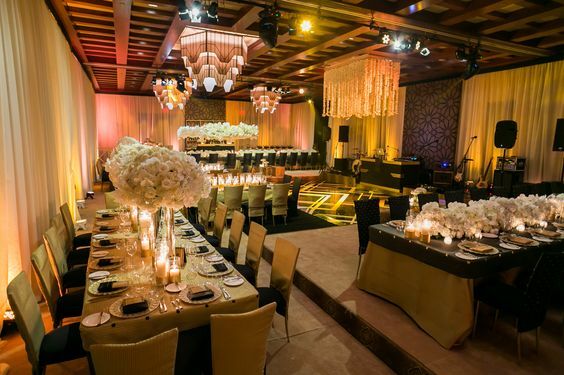 Colors chosen were black and gold and we decided to build another room within the ballroom. Custom built chandeliers reminiscent of that era were hung while the existing wrought iron chandeliers came down. We also designed the room with elevations to create further interest. Art Deco patterns were chosen for the walls that also served as interesting bar backs and were lit beautifully. 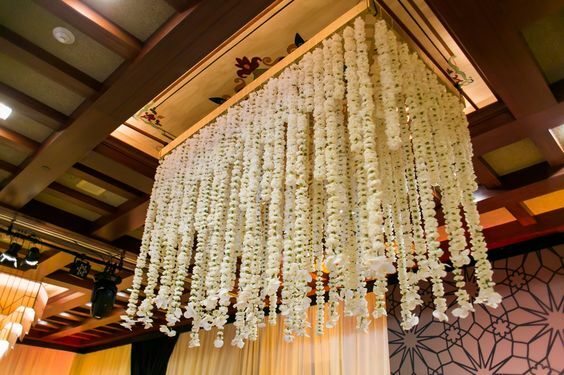 The room was draped in ivory fabric with black valance. 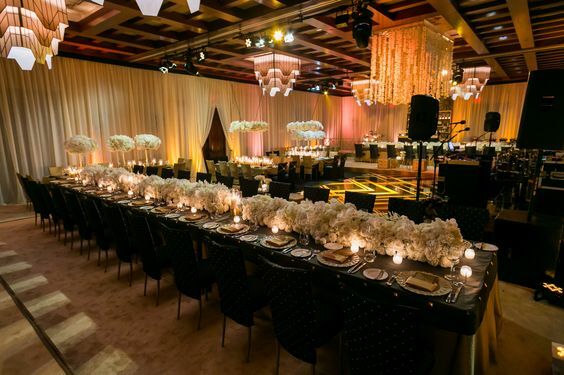 The black dance floor with a gold pattern of Art Deco period further enhanced the look. 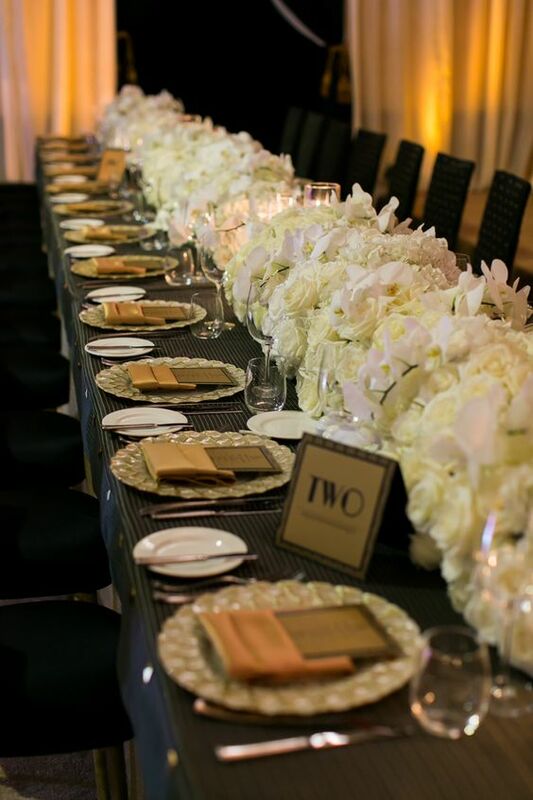 Long tables and chairs on different levels were dressed in custom linens and chair covers and made the room look expansive. We also re carpeted the room in ivory carpet. 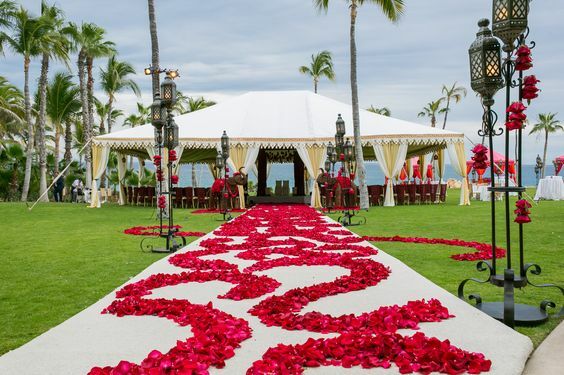 All white flowers and candles created a romantic and elegant ambiance. Guests were enthralled with tunes of Gypsy Kings and various Spanish artists. 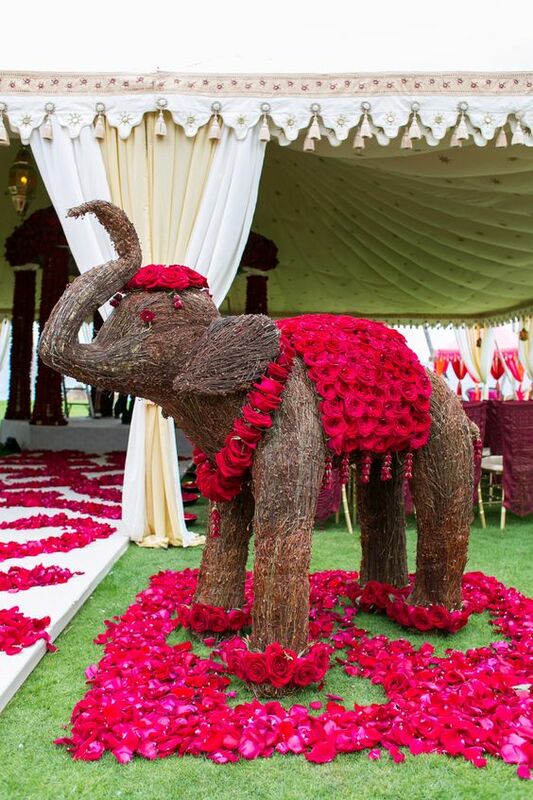 The couple made their grand entrance and went straight to the dance floor for first dance, after which guests were treated to Bollywood dancers from Los Angeles. Various entertainers kept the guests occupied during the course of the evening and dance floor stayed packed all night. Dinner consisted of dishes from various countries and the night lasted until the wee hours of morning. 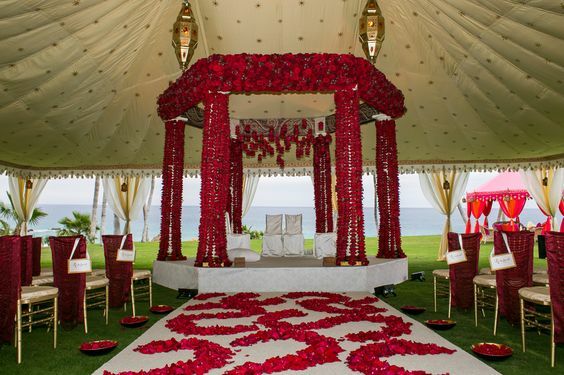 As planners, our goal is to always go above clients expectations and provide them with unparalleled experience. To see our lovely couple and their families enjoy the entire wedding experience and have a wonderful time was exactly what our goal was, which we knew had been accomplished. 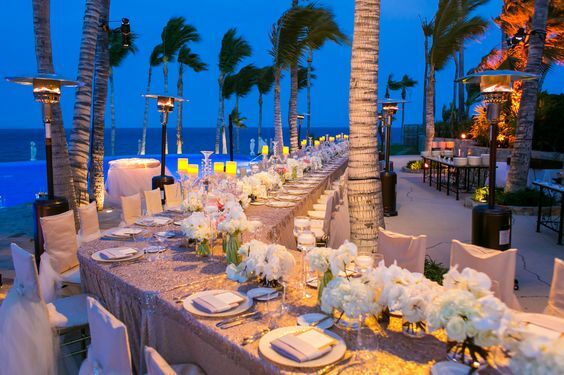 Thank you to our partners: Linens: Wildflower Linens Rentals: Del Cabo Lighting and Production: Victor Valdes Flowers: Elena Damy DJ: Ajay with Special Occasions Photo/video: Ana & Jerome Venue: One and Only Palmilla Coordination and Design: Nikki & Madiha Khan with Exquisite Events Thank you so much for reading our 5 blogs on the destination wedding at the One and Only Palmilla in Los Cabos! Stay tuned for more Exquisite Events!